My stripes, let me show you them. They say "I am not a tasty snack". In other news, I have been watching the Man vs Wild, New Zealand episodes on Youtube. They are just slightly hilarious. 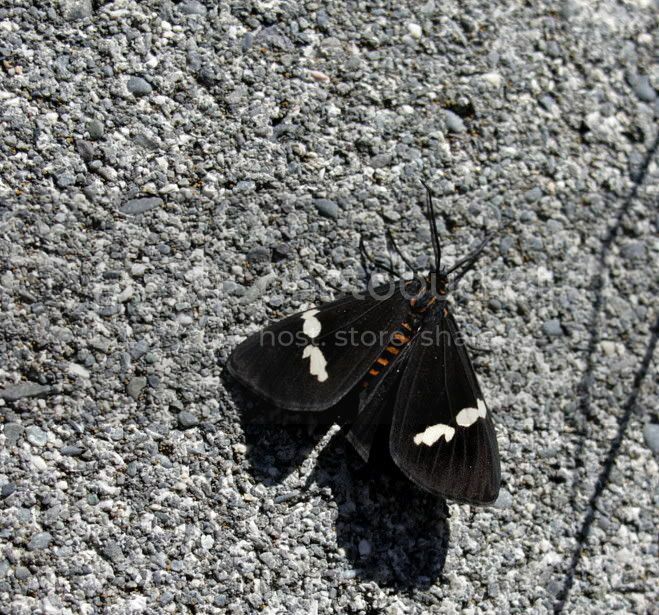 that is pretty cool.. i like it alot..
Well this one was sunning itself on the sea-wall at Lyall Bay. I didn't notice any ragwort, but that doesn't mean there wasn't any.